The next step is to cover them in thermoplastic! Though I’ve used Worbla in the past, I’ve decided that we should try out Thibra this time around. So far, I feel like Worbla is easier to use, but Thibra has a nice, smooth texture. 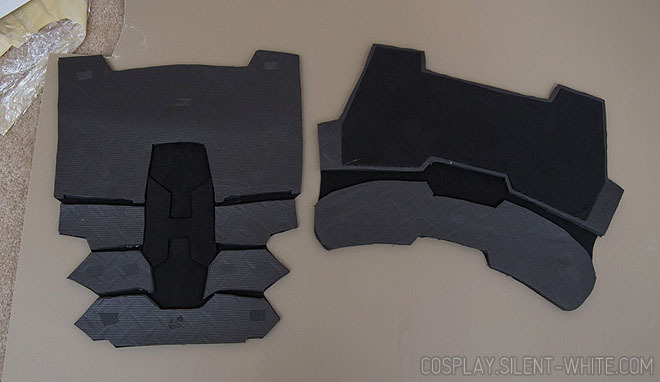 I’ll find out more when we cover the armor in it! We also worked on a few of the props. For the flash bangs, we used 1.5 inch PVC pipe and covered the ends with caps. 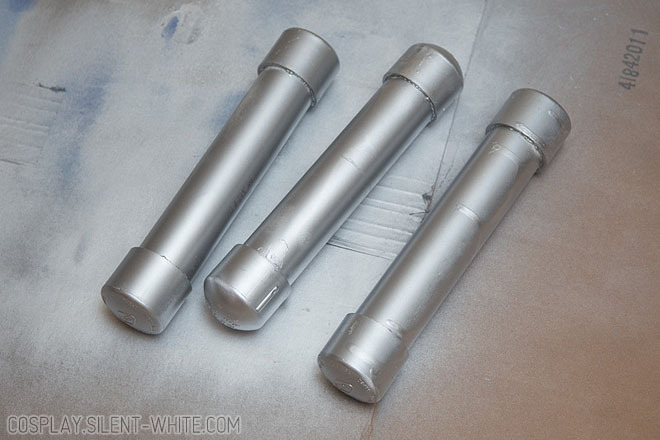 Then we just spray painted them with metallic silver paint. We still have a bit of work to do on them. 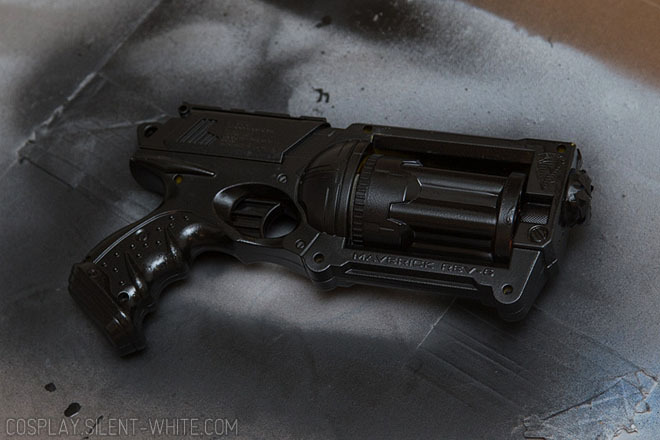 The gun is a Nerf gun, which we’ve just spray painted black so far. We will be painting on top of it with gray later. I would love to see the progress you’ve made on this! 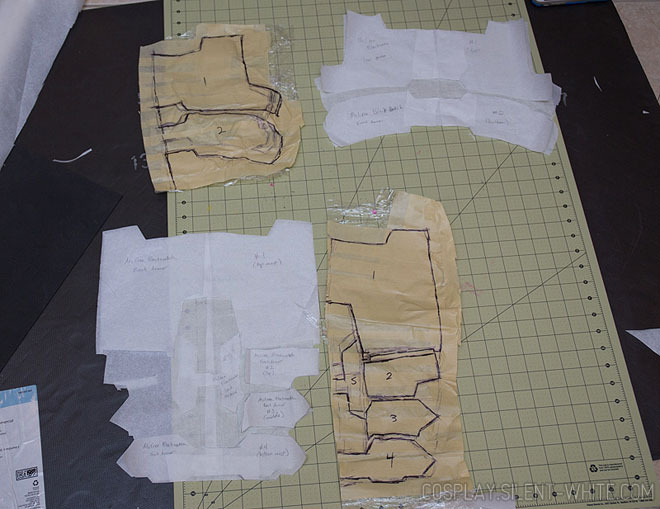 I am working on my own McCree cosplay right now! Though I guess I never finished posting about it. I will see if I have photos of later progress to share!